Assuming you've already downloaded a fresh copy of Windows 7, you'll need to burn it to a DVD in order to do a fresh installation. 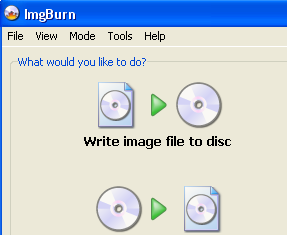 To handle this task, grab a copy of the most popular CD and DVD burning tool ImgBurn, burn the ISO to a DVD, and move right along to step 1. After you select the partition, go grab yourself a drink and let the installer do its work. Windows will run through some installation bits, restart a few times in the process. Eventually you'll be prompted to set up your account, enter your licence key, and set up Windows. Keep your eyes open for fun new Windows 7 features, like your new homegroup (and the accompanying password). 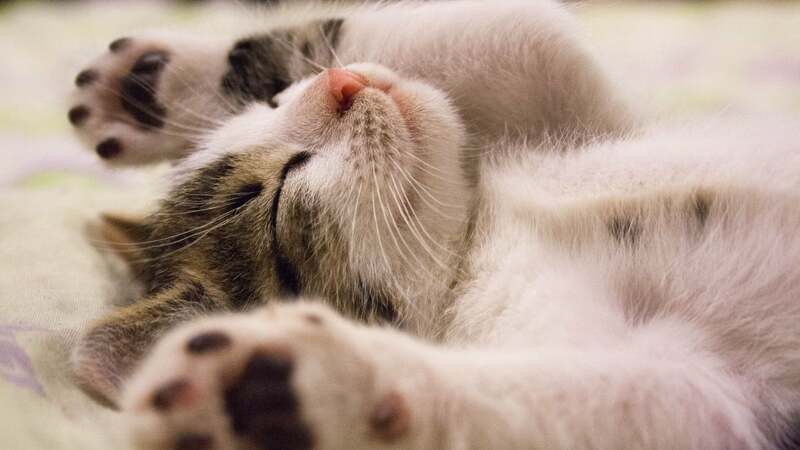 When it's finished, you're up and rolling with your new Windows 7 installation. Congratulations! You should now have a new entry for Windows 7 on your boot screen when you first start up your computer. You've now got all the tools necessary to dual-boot Windows 7 and XP or Vista—or even to triple-boot Windows 7, Vista, and XP. This isn't the only way to set up a multi-boot system by any means, but it's how I pulled it off. If you've got a method of your own that you prefer, let's hear it in the comments. I managed to dual boot vista and windows 7, but I cant view the original vista drive when booting into windows 7. They are on separate physical drives. I'm sure this is just windows "protecting" itself, but it is quite annoying. Does anyone know how to make this visible? Loving windows 7, once it works with Synergy it will be amazing! Switching for sure. @Willem: Goto Control Panel -> System and Maintainence (skip this one if you're in Classic view) -> Administrative Tools -> Computer Management -> Disk Management and right click on your Vista partition. Select the "Change Drive Letter and Paths" option and set your drive letter. I had to do this before my Windows XP partition would appear. I have two internal hard drives and so do both OSs need to be on the same hard drive? How do u start up XP once u do that? Thanks Denney, I had the same problem about wanting to view my partition which Vista is on so that I can transfer my pics and music over to 7, I knew it had to something stupidly simple I was overlooking, haha! Thanks for GParted link, I used Ubuntu to partition my HDD since I couldn't find a free alternative Windows download that would do what I wanted. I installed successfully and was playing around with Windows 7 but when I restarted I had no option of starting up into Windows 7, it went straight to XP. XP is on my first HDD, Win7 is on the second partition of my second HDD. Here something strange: I had no sound, but I saw the sound icon in the taskbar. He also could not find my wifi stuff. But it looked good! You probably need to change the primary boot hard drive in your bios to be your second HDD instead of the one XP is on. Interesting. First critical update was to download a driver for my creative sound blaster. From what I understand, there in no support in Vista, but I have sound in "7" Saves me from having to disable the SB in the BIOS and switching wires to the on-board audio. I read your guide with interest and followed it. Gparted didn't behave the way i wanted, but it worked. What i'd like to do is change the default boot to xp, otherwise my not as techno savy family members might do me an injury. Is it as simple as removing the ;default os text in msconfig boot, and making sure its stated in the winxp partition? I am thinking Windows 7 boot manager trashed my XP Partition boot sector. I had my dual boot running fine until some files accdiently got deleted on my c drive. I restored my xp OS by booting into the cd and usung the fixboot command and then i tried to fix my windows 7 OS by using the startup repair from the dvd. My problem is that now it does not see XP when booting up. Argh !! Any ideas on how i can fix my dual boot without re installing windows 7 ? I installed this on my Dell Inspiron E1505 that had XP installed. I did it on a second partition but now I cannot figure out how to boot into XP. It is obviously still there as I can see it while in Windows 7, but when I boot I am not given any options even when I hit f8. I installed win 7 in a second partition on my C: drive. Now when I boot I get the win 7 boot.ini and I have to select "Previous Windows operting system" before I get the option to boot into XP. How do I kill the win 7 boot loader. I want to go back to xp only. I reformatted the win 7 partition to kill it, but the blasted boot loader for win 7 still takes charge on boot-up. I had XPSP3 installed on HDD#0. Recently I installed W7 on HDD#1. W7 installed successfully, except: When I try to boot w/o the W7 installation DVD in the DVD drive I get "disk error, press ctrl-alt-del" message. As soon as I insert the W7 installation DVD into the DVD drive (but I don't boot from the DVD!! !, it is just inserted) I can boot, seeing both OS options to choose from. And I can boot to both XP and W7. I tried to use the WIN7 DVD to boot and fix bbot errors but it found no error. Any help (except reformat HD) is highly appreciated. Same here. I also would like to know how to change the order of boot back to XP. Most annoying that Microsoft have assumed everyone wants to boot immediately into Windows 7, particularly when it's only a Beta version. It may be hidden inside the MBR somewhere. Any help on this is most appreciated. It deals with Vista but I think the same would apply to Windows 7. I'll try it out later and post the results. to VIKI...doesn't it give you the option of selecting Windows 7 or "previous version of Windows"? You probably need to change the primary boot hard drive in your bios to be your second HDD instead of the one XP is on." Hi I have installed as per your advise but I cannot see the dual boot option directly windows 7 is loading. You can use EasyBCD to alter your boot options in Vista/Win7. option. It fixed my dual boot issue and works fine now.